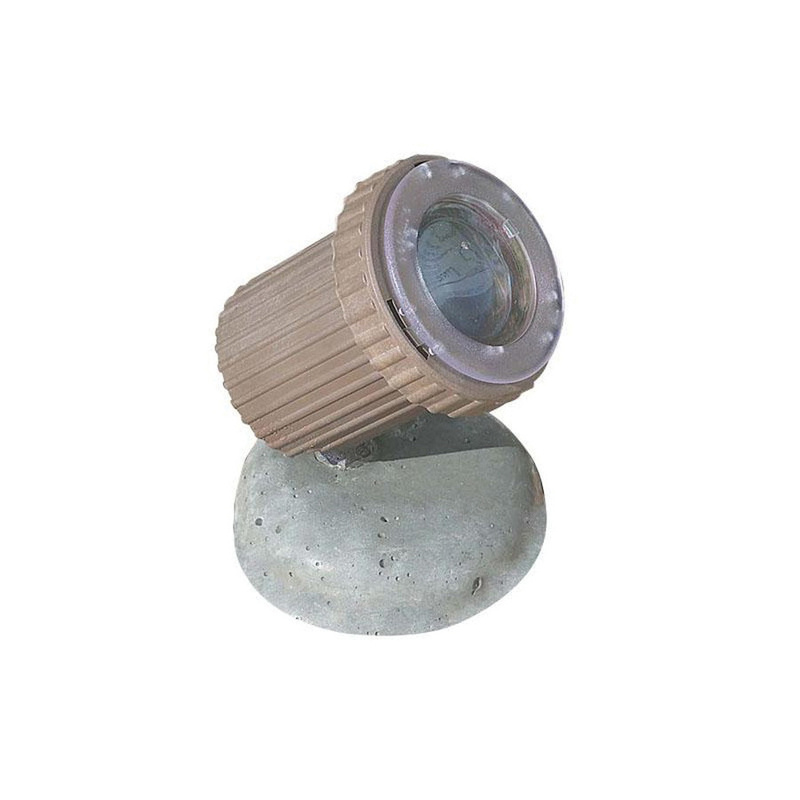 Philips Lighting Hadco® Collection Low voltage underwater light in color impregnated bronze finish, features high performance polymer composite construction. It features clear tempered glass lens that brings elegance to the home. Underwater light uses 50-Watt lamp. The MR16 GU5.3 bi-pin socket lamp has voltage rating of 12-Volts. Lamp has an average life of 25000 hours. Lamp has color temperature rating of 3000K. This underwater light has a dimension of 5-1/8-Inch x 6-11/16-Inch. It comes with 10-ft lead wire for hassle-free installation. Underwater light is ETL/cETL listed and meets ISO standards.